The BBC has reportedly published a narrative of the piece by Russian journalist Yelizaveta Gerson about the alleged poisoning of former Russian intelligence officer Sergei Skripal and his daughter in Britain. Yelizaveta Gerson, a correspondent from the London branch of the Russian television company NTV, has expressed alarm about threats she received after her coverage of the Skripal case. "The BBC has published a narrative of my story [about Skripal's alleged poisoning]. Shortly after, an unknown person — I hope just a psycho — wrote me a letter with the following warning: 'You, who earn in Russia with a pen, will die in Britain from a sword,'" Gerson was quoted by Russian media as saying. She added that she had previously received "muck" via social networks, but that this violent open threat was the first of its kind. Gerson said that she had not turned to the police, hoping that the author was "just a psycho who has read a lot of the Daily Mail." On Monday, the Russian embassy in the United Kingdom said that Russian journalists working in Britain have started receiving threats due to an anti-Russia campaign in the UK media, which began after the incident with Skripal. 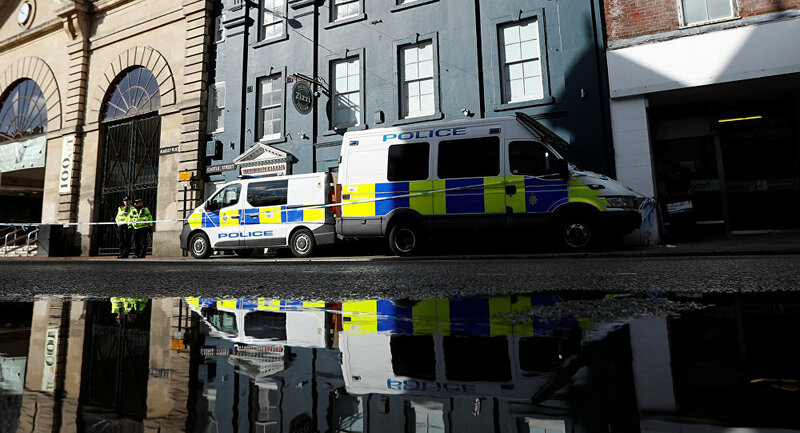 According to Russian Foreign Minister Sergei Lavrov, Moscow has yet to be provided with any specific facts which could prove Russia's involvement in Skripal's alleged poisoning, which took place in Salisbury on March 5. Russian Foreign Ministry Spokeswoman Maria Zakharova, for her part, described Britain's allegations about Moscow's involvement in the Salisbury incident as "groundless," urging London to meticulously investigate the case before blaming Russia.